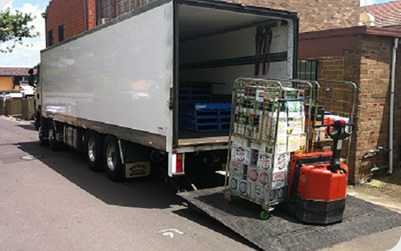 St. George Transport is a 100% Australian Independent Company. Transport experience exceeds 10 years. Proven track record in transport services and innovative technology in reducing carbon footprint. Our organization is defined as Energetic, flexible and skilled focused. Some of our clientele include Coles, First Choice, Dan Murphy, Vintage Cellars, Liquorland, Bunnings, One Steel, SIMS Metal, Various Minerals & Resources haulage. We have assisted in catering logistic services to the Sydney International Wine Fair at the Overseas Passenger Terminal. Weâ€™re very good at what we doâ€¦ and constantly plan to get better.